Cheers went off the air in 1993, years before I appreciated sitcoms and more than a decade before I’d have my first legal drink. Still, through reruns, YouTube clips and references from family and friends I know the show well. Frasier, Sam, Cliff, Norm, Rebecca – they all knew each others names. They built memories together one pint at a time. Cheers represented the quintessential neighborhood bar – a place for friends, laughs and life. 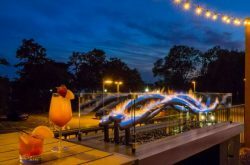 While I spent many nights in my early 20s drinking with friends in bars, it wasn’t until I moved near Delaware Park in Buffalo when I finally found my neighborhood bar. My new roommate and I had heard great things about “Gordon’s” so we decided to check it out. Just a short drive or walk from our apartment, we went once for a Sabres game, then we went for free food and Monday Night Football, then we went just because it was Wednesday evening, then we went more times than I can even count. Gordon’s helped me make it in Buffalo, quite honestly. And that’s probably why the news earlier this week that the bar will be sold left me with mixed emotions. I grew up an hour and a half south of Buffalo. That’s not far, but moving here required me to build an entirely new life. 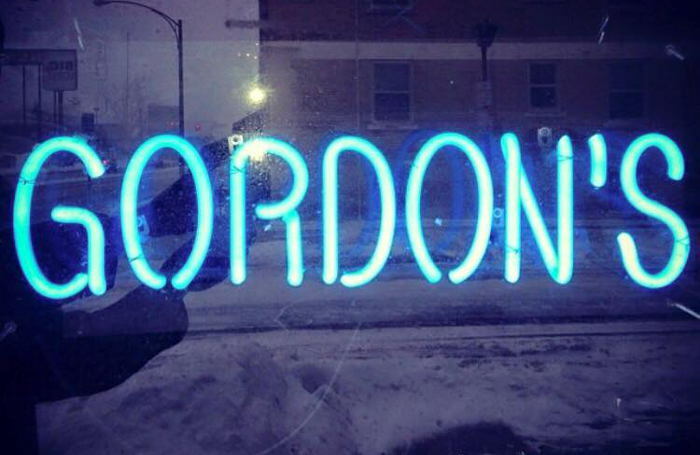 New friends, new rec sports teams, new girlfriend, new running clubs… looking back, Gordon’s was the stage where a big piece of building my life in Buffalo happened. Gordon’s isn’t a place that screams for your attention. There are no bright light signs or non-stop radio promotions urging you to visit. 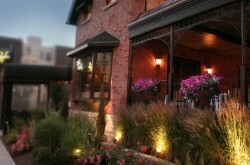 Instead, Gordon’s relies on its loyal regulars to spread the word about everything that makes it a special place. There are plentiful craft beers on tap, TVs to watch sports all over the place, delicious food from the kitchen like the Paco Camino burger, fish fry or the Chicken Parm sandwich, free popcorn, darts, live music…..
Gordon’s is just a great place where great things happen. 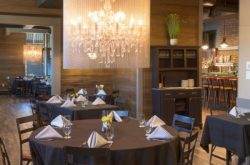 It’s family owned and the team makes everyone feel welcome. Friends make new friends there. Doug Allen might swing by to sing the national anthem. Sometimes you even get a few questions right on Trivia Night. My life has changed a ton in recent years, and admittedly, I haven’t been to Gordon’s nearly as much as I used to visit. Life has a way of speeding up on you. Girlfriends become wives and apartments in the city become houses in the burbs. Still, it’s the first place I think to go whenever my friends talk about catching a big sporting event. It’s a bar I’m grateful to have found. While the news that Gordon’s will be sold hit this week, there are still a couple months to pay it a visit. I can only extend best wishes to the Gordon’s team as they embark on a new journey – I owe them for always making me feel welcome. Some may laugh at my comparison of Gordon’s to Cheers, but to me the similarities are clear. While I’m sure I’ll raise many pints in many more places over my life, but I doubt I’ll ever find another bar that worked for me like Gordon’s does. Years from now it will still pop up in stories and fond memories, because ever since the first time I walked in, it’s proved itself a bar worth remembering. See the “rumors are true” post on Gordon’s Facebook page. Christopher Whitcomb is a Marketing Communications Manager at CannonDesign. He grew up in Salamanca, NY and now lives with his wife in Hamburg, NY. Chris enjoys long runs, good beer, warm weather, swimming, golf and Bills wins.